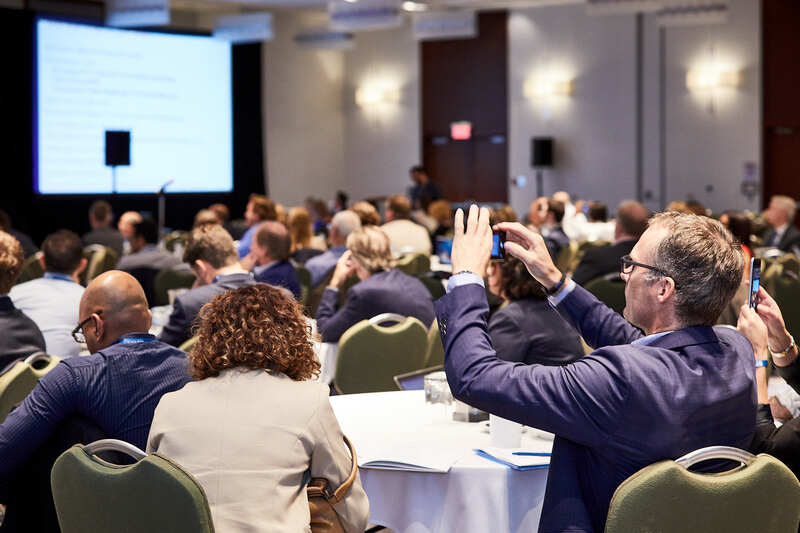 If you joined us from September 25th - September 27th then you experienced three packed days of great keynotes, breakout sessions, exclusive events, and SO MUCH MORE! If you couldn't make it this year... then hopefully you can make our next one in June, 2019! Keep reading for an exclusive look into what the three days looked like and information for the next World Summit! BONUS: If you didn't get to attend, we still want to hear your thoughts! At the end of this blog, there's a survey you can fill out. You may receive discounted passes for the 2019 Summit! Keep reading. Following the AGM, the room buzzed with fellow Investors, Entrepreneurs, Educators, and more chatting about the morning session and networking. Now it was time to head into NACO Academy Sessions! 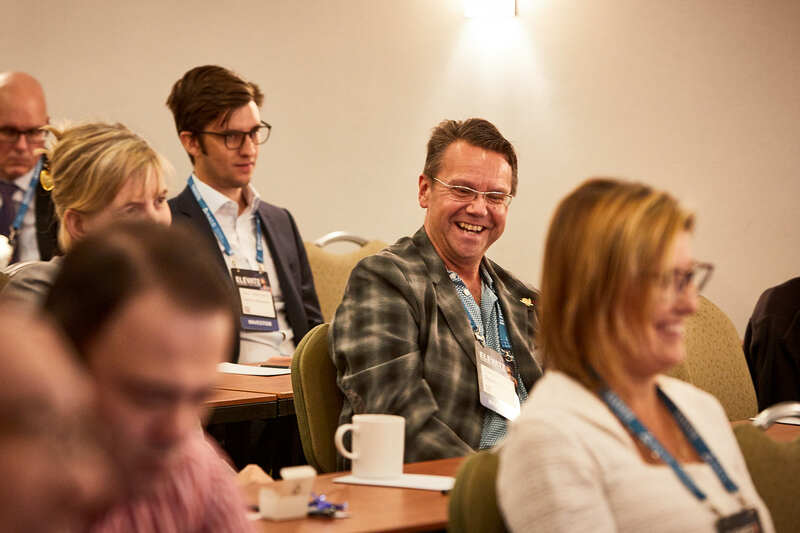 At this years summit we held four different NACO Academy Workshops. The Art of Valuation presented by Pieter Dorsman, Exit Execution presented by Basil Peters, Leading Investment Rounds presented by Karen Grant, and Angel Academy 101 presented by Female Funders and Benton Leong. 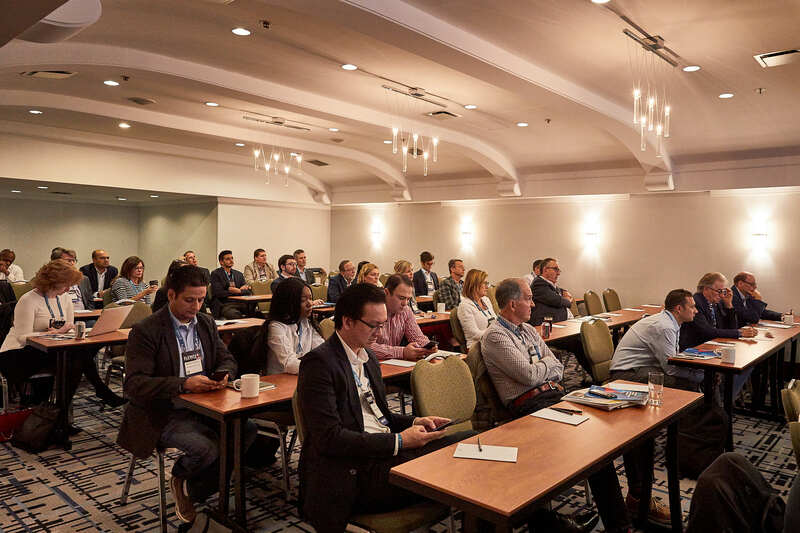 Each room was packed as NACO Academy Instructors passed along their knowledge for the remainder of the afternoon; including interactive panels, Q&A and discussion with industry leaders. Each attendee received a session-specific workbook with the presentation and valuable resources to continue their education. The rest of the day was for Summit attendees to relax, check-in to their hotel, or check-out the Main Stage at Elevate Tech Fest! 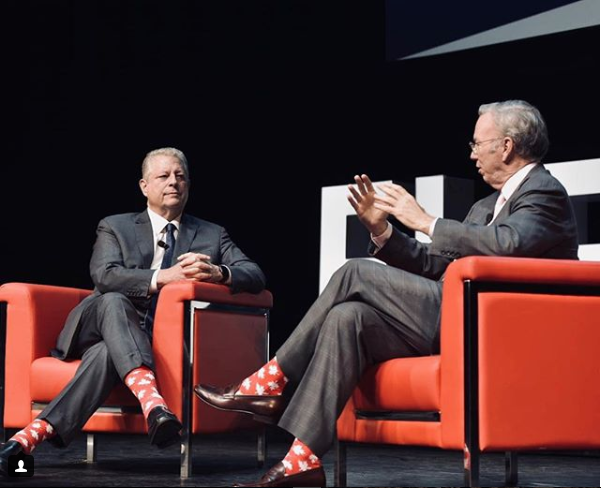 Where speakers like Eric Schmidt and Al Gore took the stage to discuss important topics and fashion some impressive socks. Question for our readers: Does NACO know how to throw a party?! Answer: Absolutely, 100% YES! 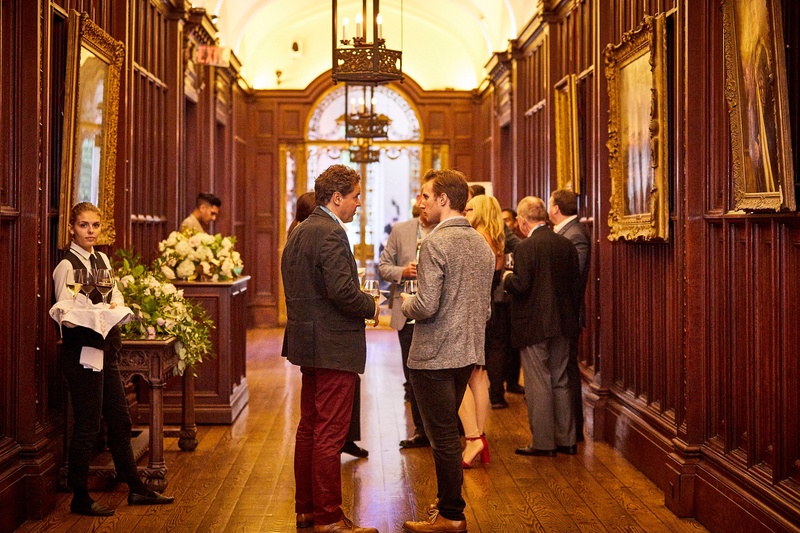 This year we kicked-off the NACO World Summit with an unforgettable reception at Toronto's Historic Casa Loma. The evening was filled with good conversations, laughs, live music from a Grammy nominated Jazz band, delicious Canapés, Instagramable moments, flowing cocktails, even some dance moves. 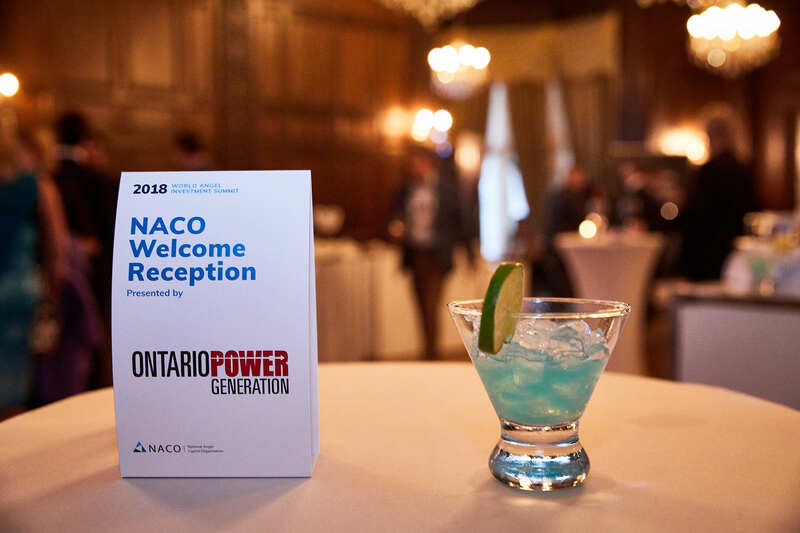 Highlights of the evening included: the views from/of the castle, an interactive activation by the sponsor of the Welcome Reception Ontario Power Generation, "dragons breath" ice cream, and who can forget the speciality NACO blue cocktail. If you're reading this and you were there, comment below some of your favourite moments. 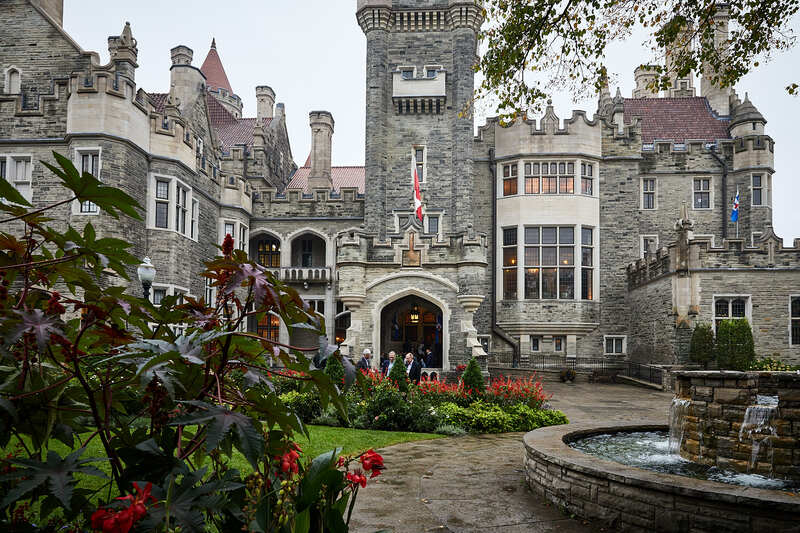 Fun fact: the night we hosted our Welcome Reception, the staff at Casa Loma were preparing for their Halloween celebration, the Legends of Horror. Summit attendees got a unique sneak peek of creepy characters wondering around on the grass, the tech crew mapping the lights to reflect on the back of the castle, and Halloweeny tunes outside. 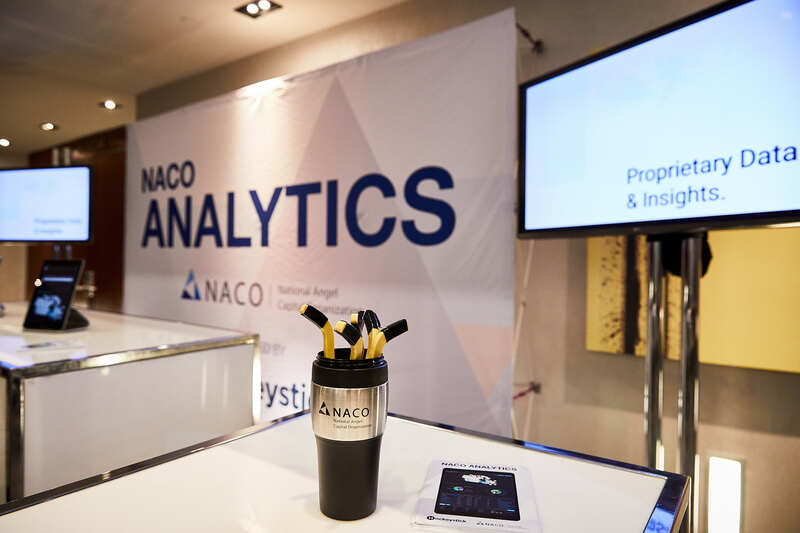 With the NACO World Angel Investment Summit celebrations off to a good start, the team at NACO were ready to kick-off another day of the Summit. 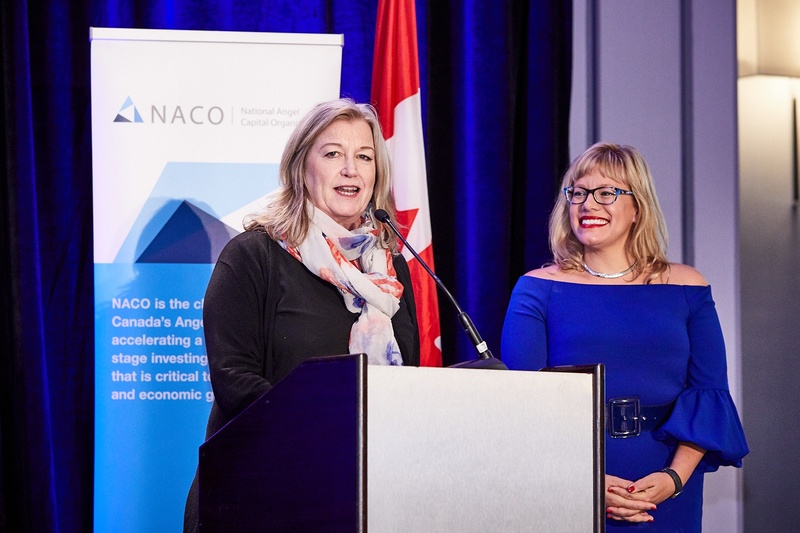 Wednesday September 26th, themed: The Era of Dynamic Disruption, started with NACO Chair Sandi Gilbert and Summit Chair Jess Joss delivering Opening Remarks. 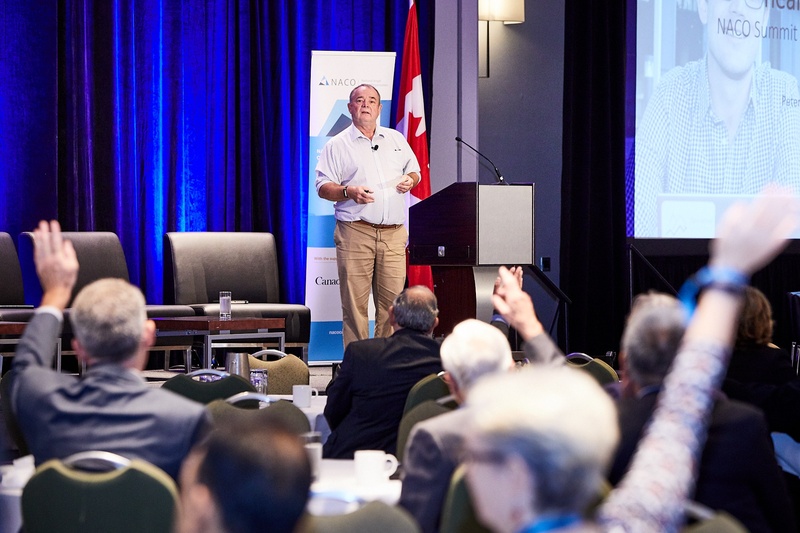 Next, we had Angel Investor Peter Cowley deliver the first Keynote of the day. 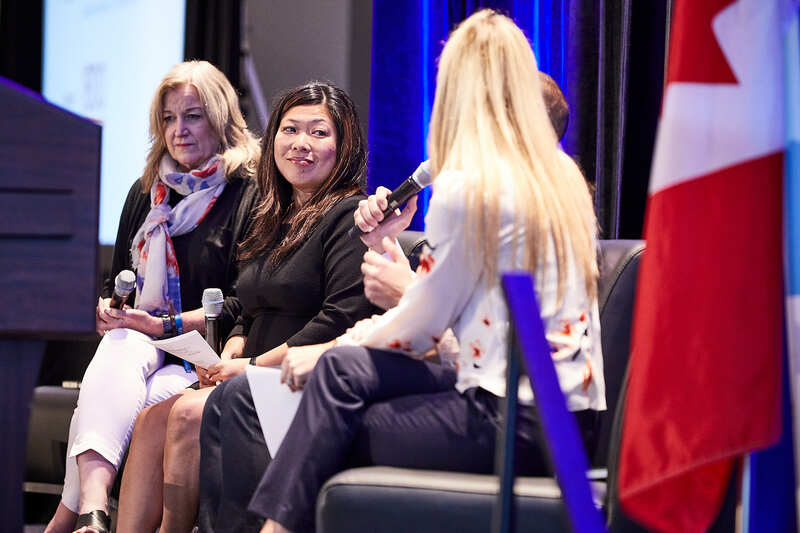 After a short break we had the Honourable Mary Ng, Minister of Small Business and Export Promotion join Abdullah Snobar from the DMZ, Sandi Gilbert from NACO, and the Summit MC Erin Bury for a Fireside Chat discussing bridging the funding gap for Canadian startups. It was an interesting conversation where many important funding issues were discussed and Minister Mary Ng pointed out her mandate as given to her from Canada's Prime Minister, Justin Trudeau to; grow our economy, strengthen the middle class, and help those people working hard to join it. Minister Ng, on behalf of the Honourable Navdeep Bains, Minister of Innovation, Science and Economic Development, announced funds up to $1.5 million through FedDev Ontario's Investing in Business Innovation to help grow Ontario's angel networks. 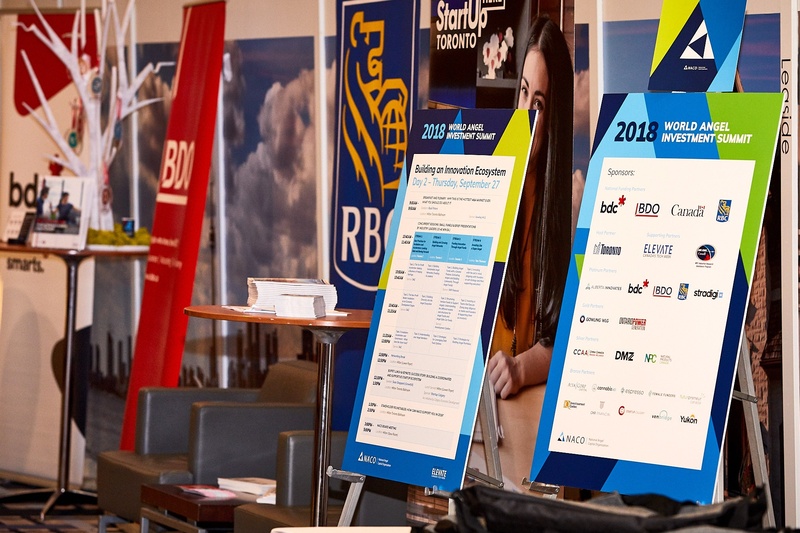 Funded organizations including the Windsor Essex Angel Network, the National Angel Capital Organization, the GreenSky President's Club, Angel Investors Ontario, the Spark Angel Network and SOAN—Southeastern Ontario Angel Network. Find more information about this here. Following this compelling Fireside Chat, attendees then heard from Jerome Nycz of BDC, Duncan Stewart from Deliotte, Carolina Bessega from Stradigi AI, and a member of Singularity Universities founding faculty Brad Templeton. Following this conversation that discussed the disruptive impact of technology on our future, Summit attendees got to enjoy a networking break before picking a concurrent breakout session to attend for the remainder of the morning. 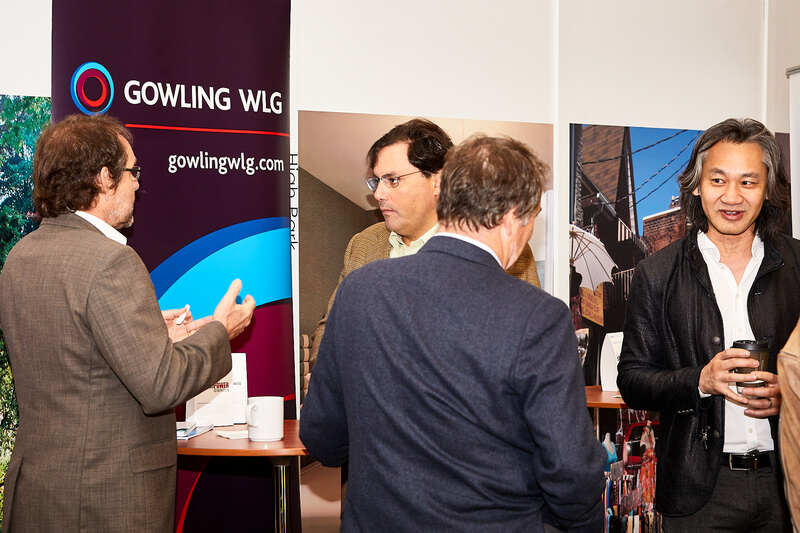 Opportunities for International Investment and Growth: Investors from around the world helped attendees better understand the opportunity for both investment and expansion in some of the world's hottest established and emerging startup markets. Sharing Economy - Fad or Future? 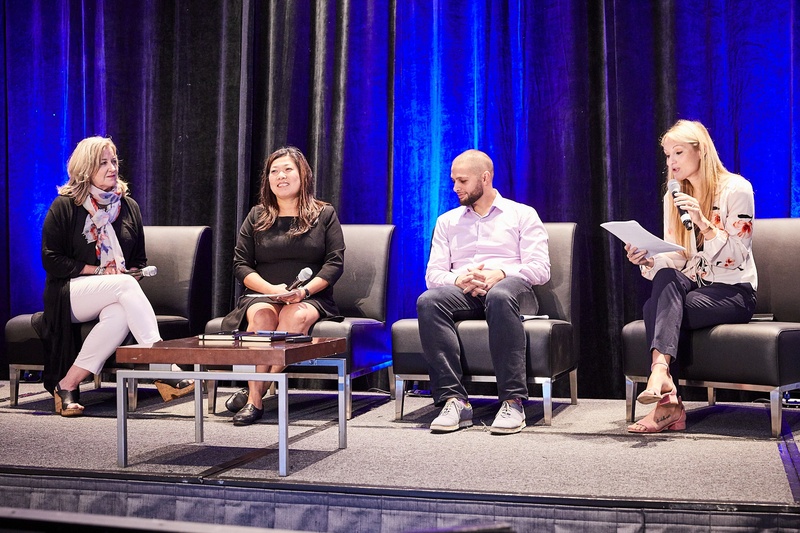 : This panel looked at the growing sharing economy and how it is impacting the way we own, use and share resources to improve access and democratize markets, while also looking at the sometimes unintended side-effects of this trend. 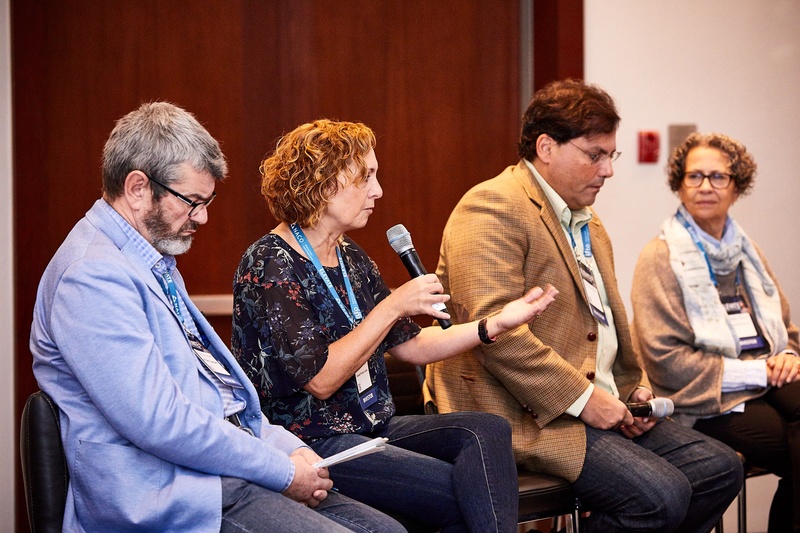 Along with our concurrent breakout sessions, Summit attendees got to enjoy more Fireside Chats and Keynotes. Including a Keynote from Howard Lindzon titled: What I Learned About Risk Capital and How It Has Helped Me as an Angel Investor. After that, Summit attendees enjoyed another Fireside Chat where Philippe de Gaspe Beaubien III, Brendan Holt Dunn, and Reetu Gupta discussed Unlocking the Power of Generational Wealth. 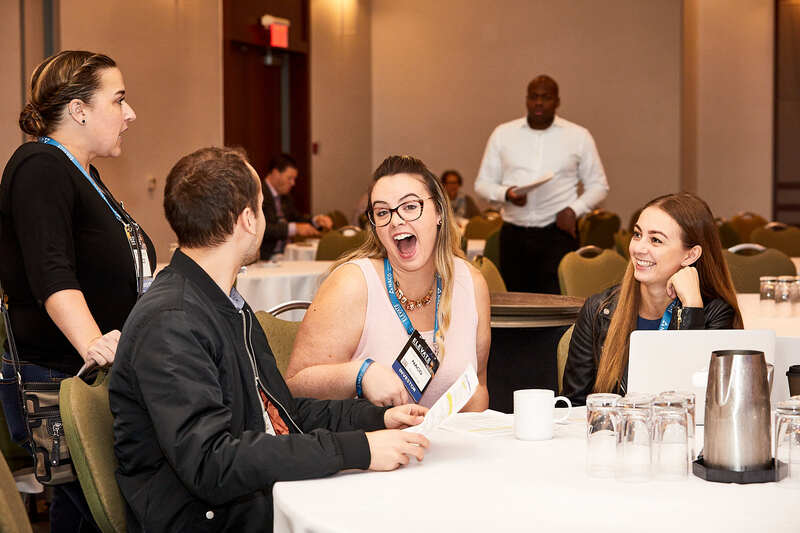 Summit attendees also got to hear from Sean Kidd from CAMH and Elemin Abdelmahmoud an Editor at Buzzfeed discussing Disrupting The Social Contract. After a day filled with sessions and great conversations, Summit attendees got to relax for a couple hours before heading into an eventful evening. To start the evening off, World Summit Platinum partner BDC hosted a cocktail reception for female founders and funders. 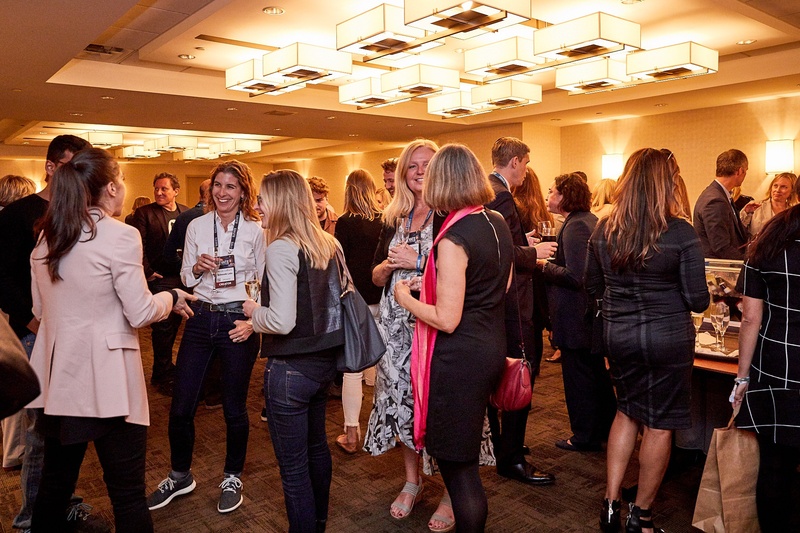 The room was filled with females who had the opportunity to network with top-tier investors, start-ups and global industry leaders while enjoying cocktails and hors-d'oeuvres. 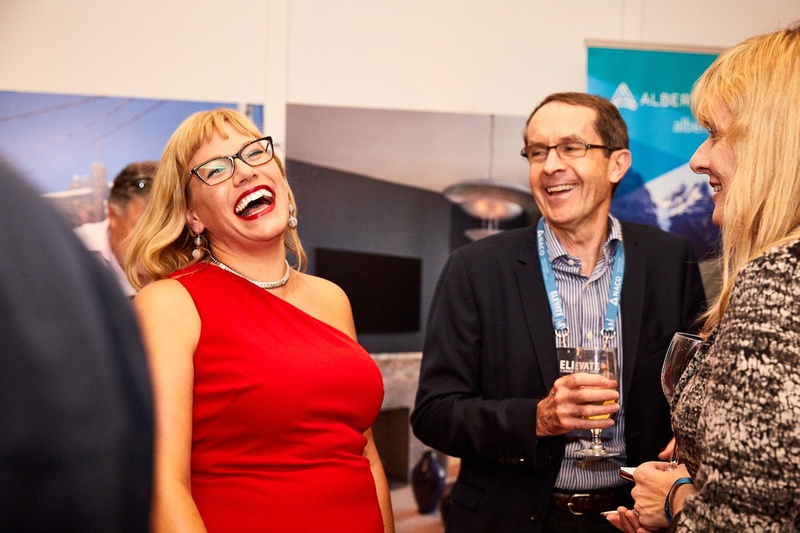 The rest of the Summit attendees got to enjoy a networking reception before everyone joined in the Hilton Toronto Ballroom for the annual NACO Gala Dinner and Awards. Once again NACO Chair, Sandi Gilbert and Summit Chair, Jess Joss graced the stage to kick the evening off with some welcoming remarks. 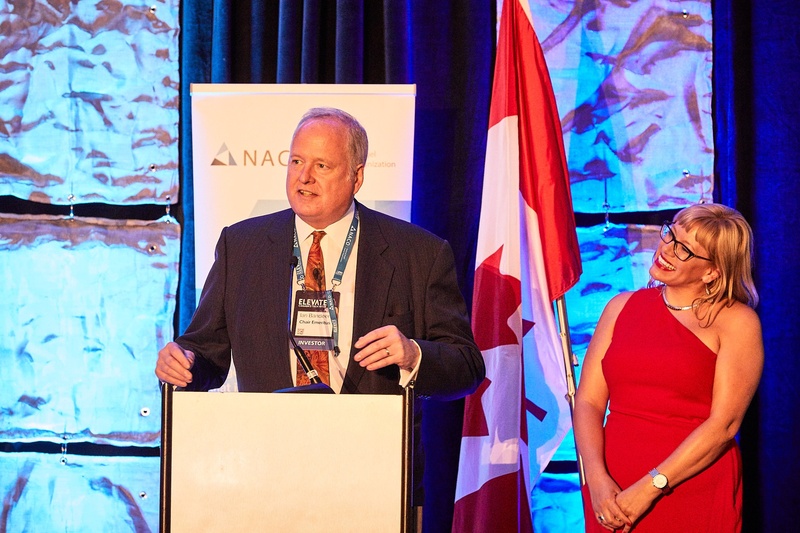 Shortly after, a departing member of the NACO Board was awarded for Distinguished Service to NACO. This was presented to Ian Bandeen, co-founder of NACO and Chair Emeritus. Who has dedicated over 15 years to help grow, educate and develop the start-up ecosystem. Ian continues to work on professionalizing Angel investment in Canada and evolve it into a new asset class of investment. 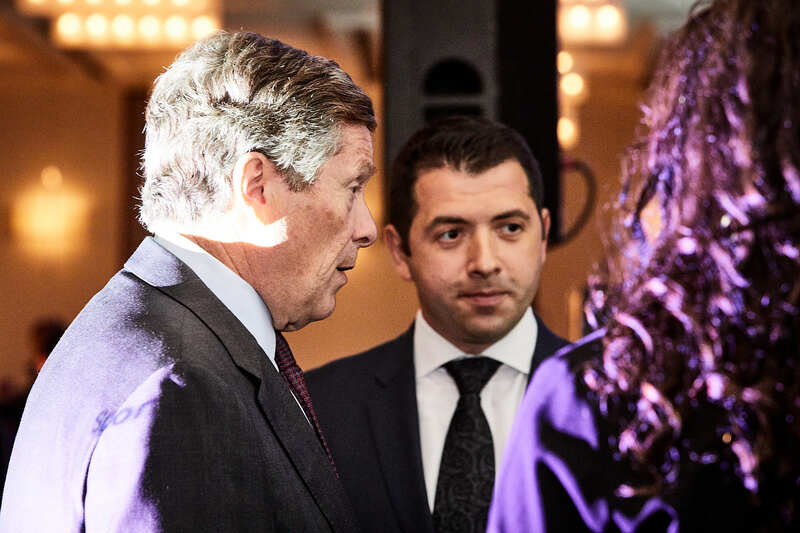 In the past, Ian was the co-founding Chairman of CNSX Markets Inc., operator of both the Canadian Securities Exchange (CSE) as well as Pure Trading. CSE was the first new stock exchange in Canada in over 70 years. 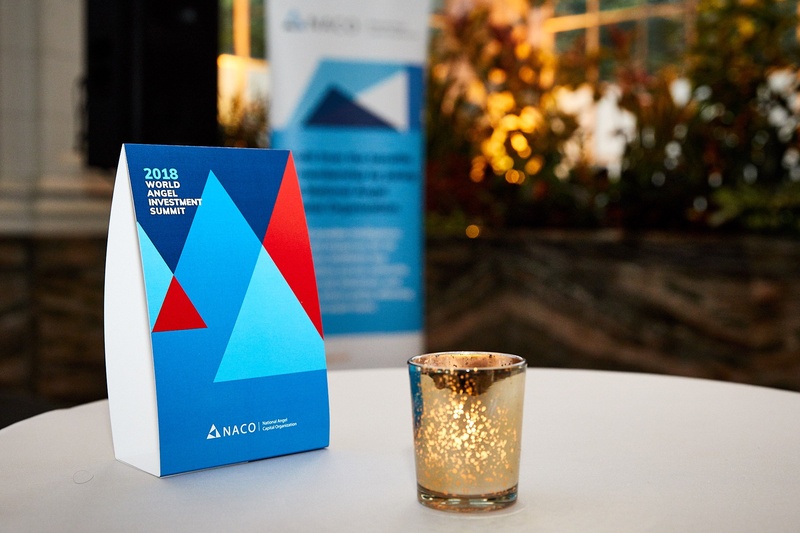 Attendees didn't have to wait long before finding out the winners of the three awards that NACO presents every year. 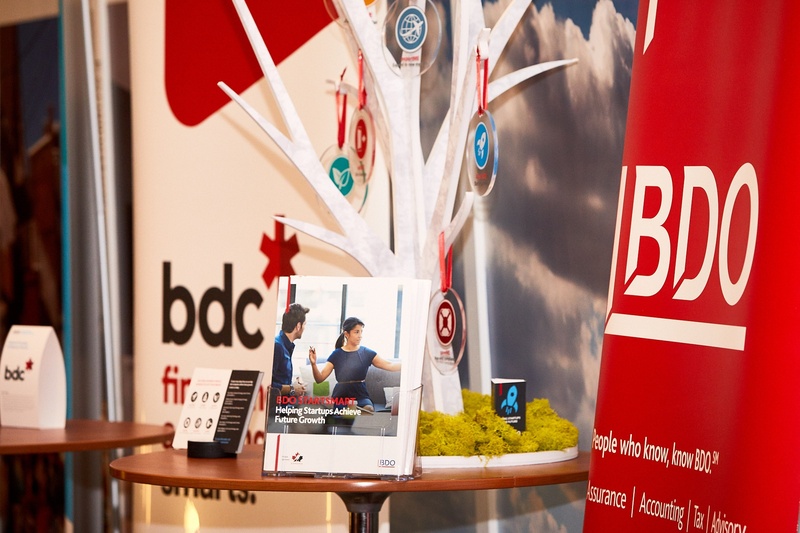 First was Startup of the Year, presented by BDO and Panache Ventures. 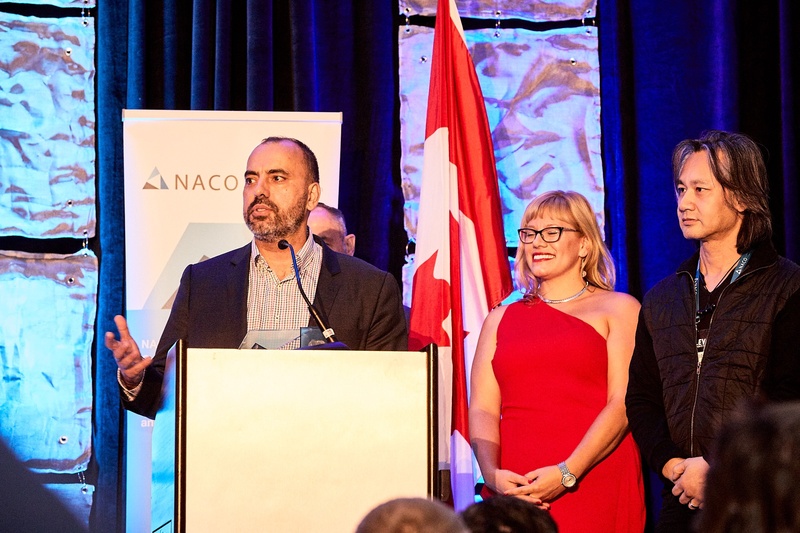 Each company submission for Startup of the Year, is made by an Angel and vetted by a selection committee resulting in the winner being crowned NACO's Most Promising Startup of the Year. 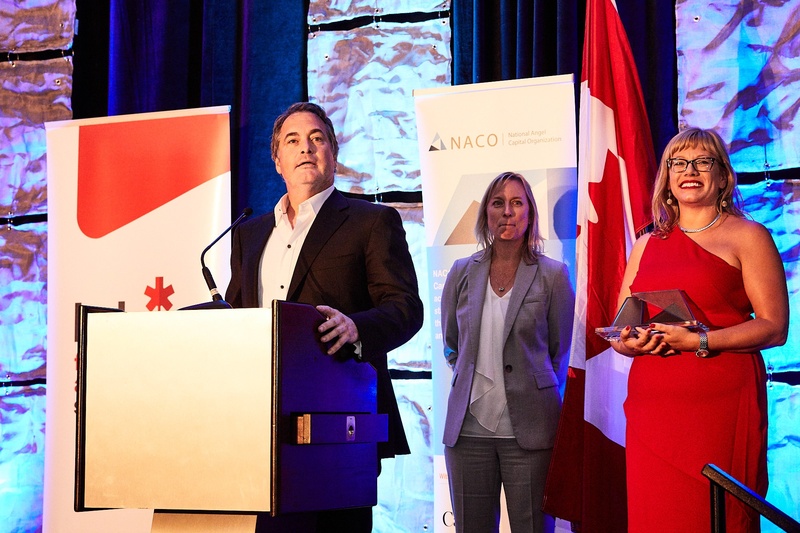 This year, NACO was proud to announce that Panache Ventures would be investing $150,000 in this year's winner pending a complete due diligence process. The 2018 Startup of the Year went to: Zoom.ai! Next it was time to award Exit of the Year, presented by RBC. 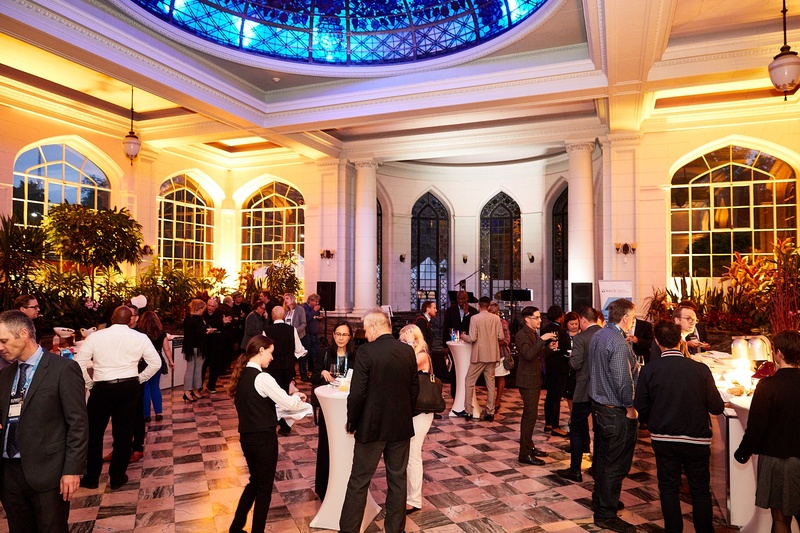 The award seeks to recognize the partnership between an individual Angel investor and a founder that most contributed to the growth and eventual exit of said startup through a combination of investment(s), mentorship, and leadership. This year NACO Awarded Exit of the Year to: Genesis Robotics, Michael Gibney, and Dr. Basil Peters! Finally it was time to award Angel of the Year, presented by BDC Capital. 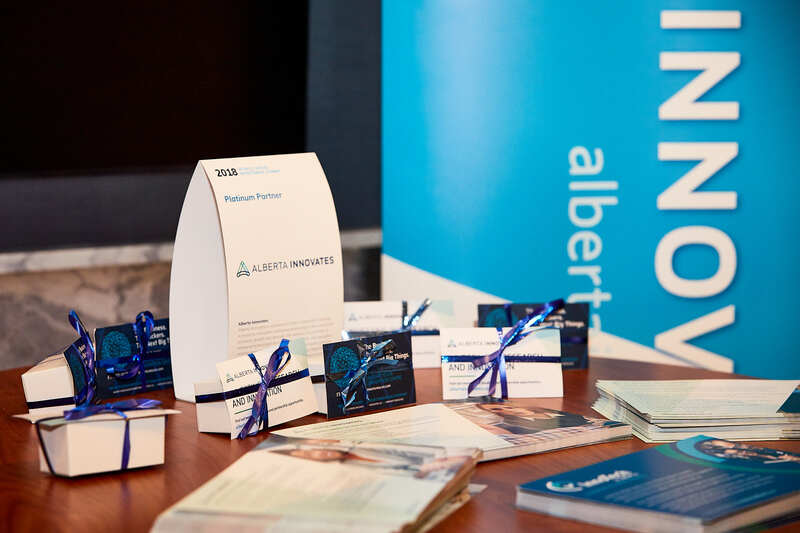 The award is presented to an experienced Angel investor who has made a significant contribution to the development of the Canadian Angel ecosystem during the year prior to the Summit. This year, Angel of the Year was awarded to: Randy Stewart Thompson! As soon as the awards buzz in the room quieted, attendees were introduced to the second part of the evening where we had a special guest join us! 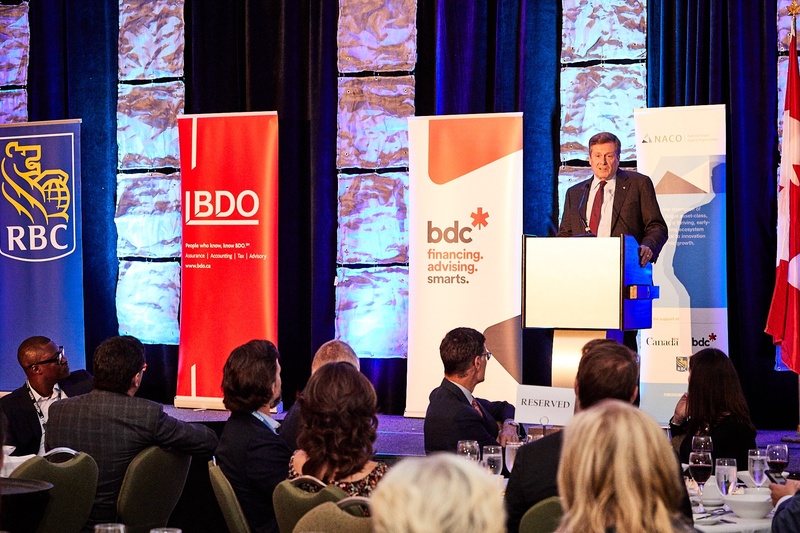 Toronto Mayor, John Tory took the stage to address summit attendees on Toronto's Tech Ecosystems. "The most important part has been the people who are risk-takers." To finish the evening off, we had Managing Director of Felicis Ventures Welsey Chan joined by 2014 NACO Angel of the Year Randall Howard take the stage for a Fireside chat. Once the Gala Dinner and Awards had wrapped up, Summit attendees were encouraged to check-out Elevate King West. We had one more day of incredible content planned for Summit attendees to enjoy. The day started with another great meal served by the staff at the Hilton Hotel. As attendees grabbed their breakfast, they had the opportunity to mingle and get information from some of our partners for the Summit. Attendees also got a sneak peek of NACO Analytics, a private data portal available to NACO Members. The portal is brought to us by HockeyStick. More information about this portal will be available soon. Once attendees settled in the main ballroom with their Breakfast, our first Keynote of the day was ready to begin! Basil Peters took the stage to discussed why this is the hottest M&A market ever and what you should do about it. In between these sessions, Sean Sheppard from GrowthX delivered the final Keynote of the Summit. He talked about building a coordinated and supportive startup ecosystem. It was a busy few days for the NACO team, but in the end the days of this years World Angel Summit were filled with great speakers, amazing networking, informative presentations, good food, and LOTS of fun! 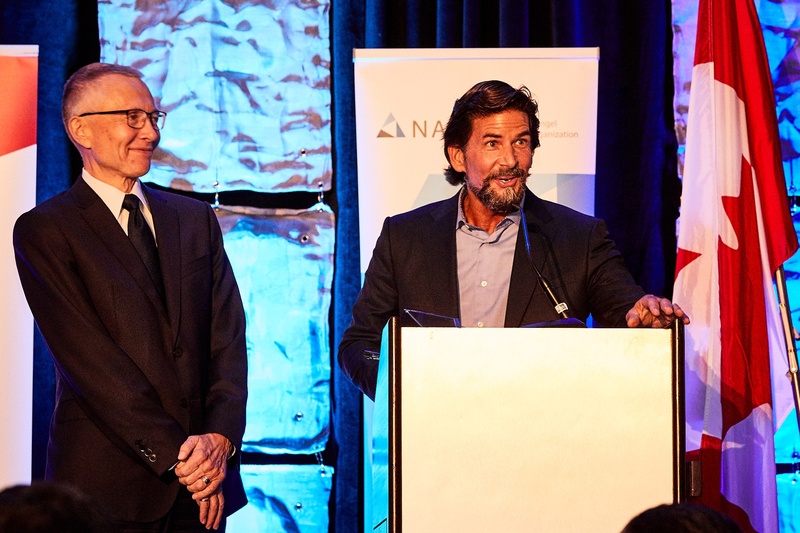 Thanks so much for reading this recap of the 2018 NACO World Angel Investment Summit. If you're reading this and didn't have the chance to attend, we'd love to hear your thoughts! As we plan for the next Summit, the more feedback we have the better. Please take a few minutes to fill out this survey. Those who fill out the survey will automatically be entered to receive 50% off a Summit 2019 pass! If you attended the 2018 Summit, and didn't receive a link to fill out the survey letting us know how we did, please email us and we'll send you the link. Speaking of the next Summit... You won't have to wait for long! 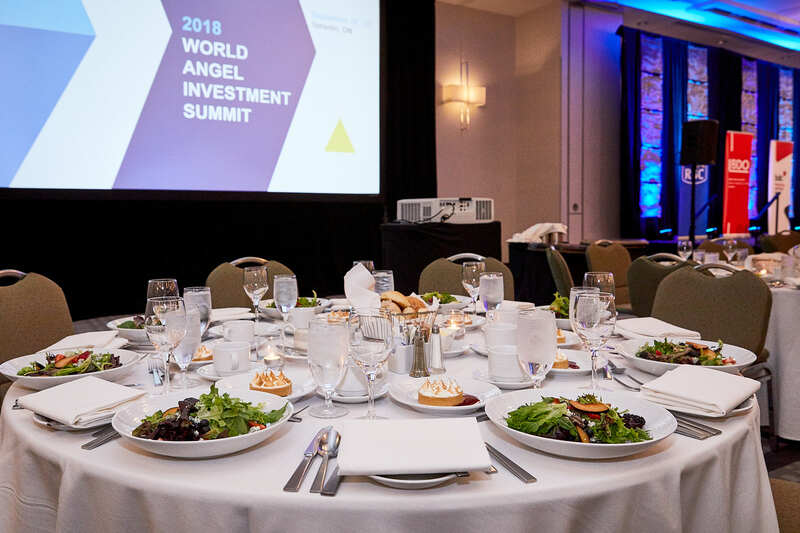 We're happy to announce that the 2019 World Angel Investment Summit will be hosted in Calgary, in June. Stay tuned for more details. 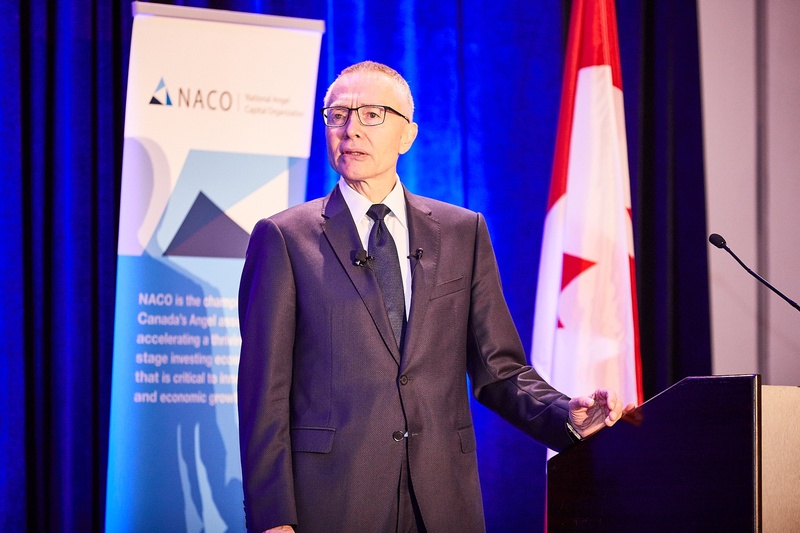 Sign-up to receive our Weekly NACO Round Up! Your weekly dose of NACO News and Updates.